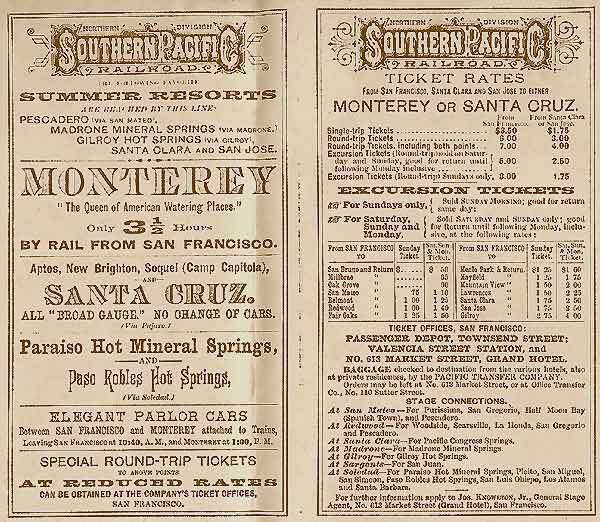 (below) Note that SP promoted the new Pacific Grove Extension by giving it a separate listing from the rest of the Monterey Branch. 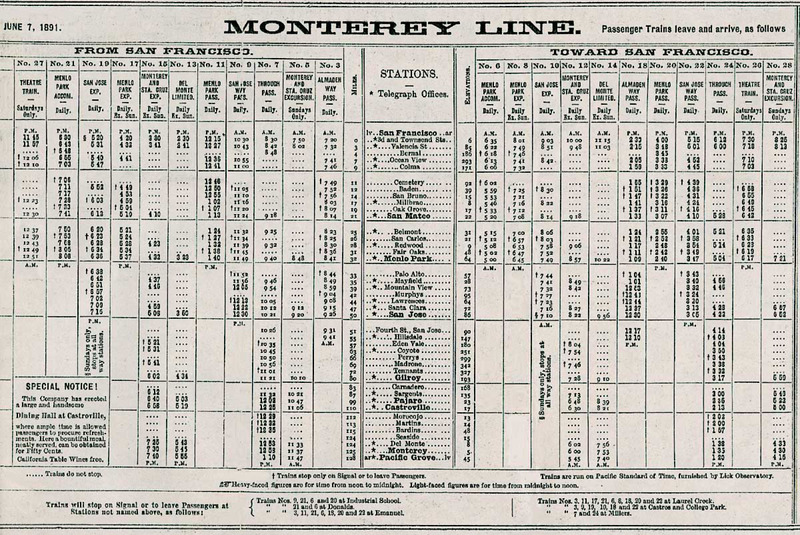 The line between Monterey and Lake Majella was not completed until August 1, 1889, about four months after the Del Monte Limited received its name. 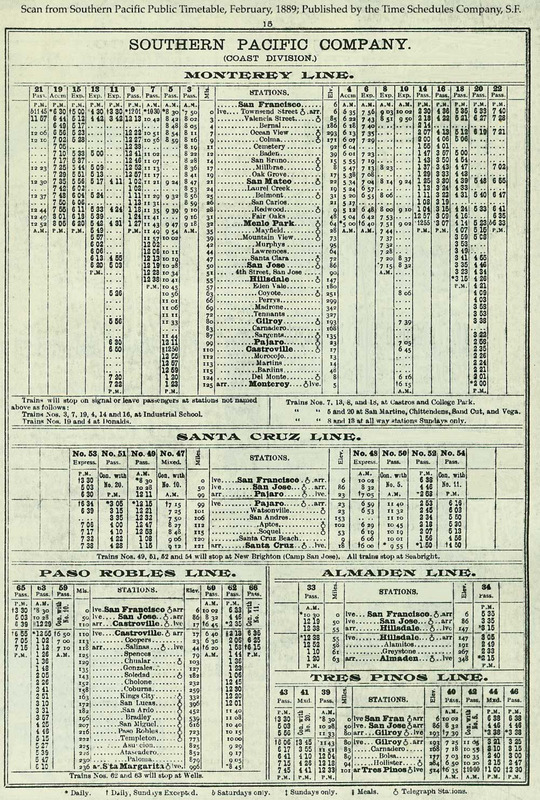 For a comparision, refer to the Ferbruary, 1889 timetable. 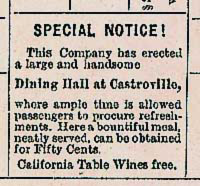 (below right) New at Castroville was a dining hall - with free wine! 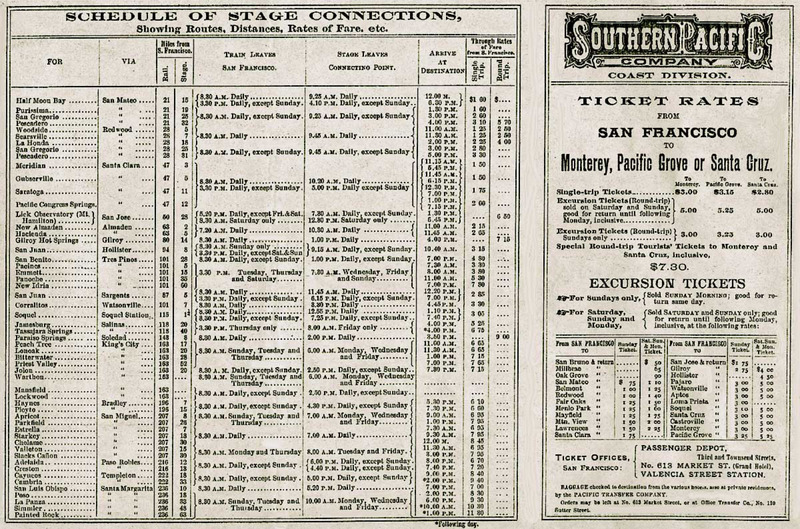 Wx4 staff suspects that the free wine thing quickly backfired on SP.